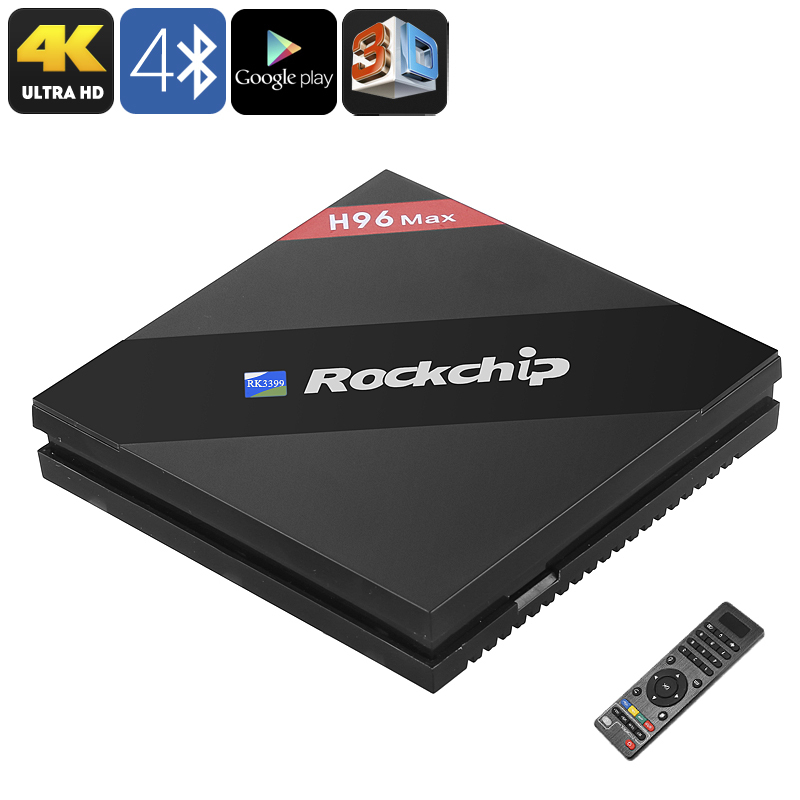 Successfully Added H96 Max Android TV Box - 4K Support, Bluetooth 4.0, WiFi, Google Play, Hexa-Core CPU, 4GB RAM, 3D Media Support to your Shopping Cart. Entertain yourself, family, and friends for years’ to come with the H96 Max TV Box. This beautiful Android Media Player lets you enjoy the latest Apps, Games, and Movies. It runs on Android 7.1.2 operating system, meaning that it will put forth a smooth performance at all times. With its Hexa-Core processor and 4GB RAM, it allows you to engage in the most demanding Apps and games without dropping a frame. Simply download the media of your liking via the App store or Kodi TV, and you’ll never have to experience a moment of boredom again. This Android TV box supports a 4K display resolution. This means that it lets you enjoy the latest films, series, and sports games in absolutely stunning beauty and detail. Besides bringing forth Ultra-HD resolutions, this 4K TV box also supports 3D games and movies. This will further increase your overall media experience while enjoying your favorite films and series. From now on, you’ll always be able to enjoy a cinematic experience from the comfort of your own living room. The H96 Max TV Box comes with 32GB ROM and features a 64GB SD card slot to store all your files. Supporting WiFi connectivity, this Android TV box keeps you connected at all times. It lets you browse the web from your big screen TV. This means that you’ll be able to instantly stream or download media or stay in contact with friends through social media. With Bluetooth 4.0, Airplay, DLNA, and Miracast support – this 4K TV box will further increase your overall user experience. No matter your media demands, the H96 Max TV Box is sure to meet them all. the H96 Max Android TV Box comes with a 12 months warranty, brought to you by the leader in electronic devices as well as wholesale Android media players..